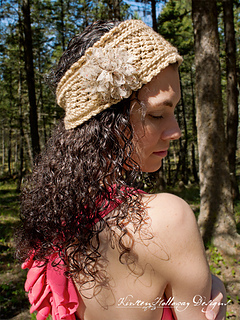 This lacy headband is a sweet accessory for almost any time of year. 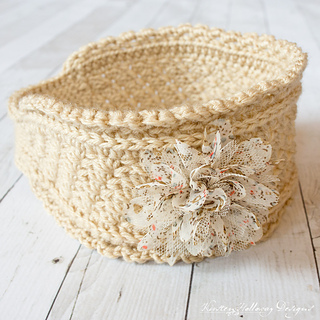 It uses only a small amount of yarn and can be made to match almost any outfit! Stitching in the “3rd loop” of hdc: Look at the top of the stitch, and locate the sideways “V”, bend the stitch to look at the back, and you should see another “V”. The bottom loop of the V is called the 3rd loop. Work the required stitches in the 3rd loops for that round. Stitch counts are very important to keep track of in this pattern. 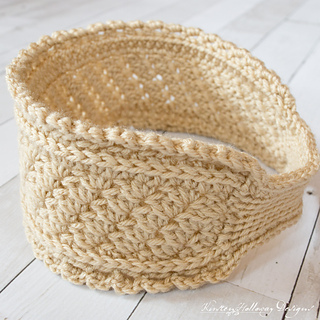 The wider part of the headband should always be 60 stitches long, the narrow part should always be 18. Each round will be started in the same stitch as join. This is to make sure the pattern does not go skewing diagonally. A stitch marker will be very helpful in keeping on top of stitch counts. This pattern can be made bigger or smaller by adjusting your chain length in multiples of 6. It should fit heads 21”-23” around as written.